South Korea I may say is a progressive country. There are countless of big companies thriving in this country and I think this is a perfect place for ambitious people like me. There could be a lot of opportunities waiting but I'll tell you, this country is very strict when it comes to accepting foreign workers. Unless you are a native English speaker and you are after English teaching position, applying for jobs in the most coveted companies is like next to almost impossible. If you want to get a job in South Korea, you must acquire a working visa first and each visa can be obtained depending on the type and the scope of work it allows. As much as I want to penetrate to big companies, my Visa does not allow me to do so. I don't want to go illegal so I am doing the best way I can to at least make my Visa valid to apply for jobs that best suit my abilities. First on my list is no other than the Samsung Electronics. Who wouldn't want to join the world’s biggest technology firm? In South Korea, Samsung is the largest company ever listed. Samsung has a lot of industrial subsidiaries like insurance and heavy industries but I like to tap on their Electronics conglomerate which includes manufacturing of Samsung Mobile device. I want to be a part of a company that helps shape the world's technological advancement. 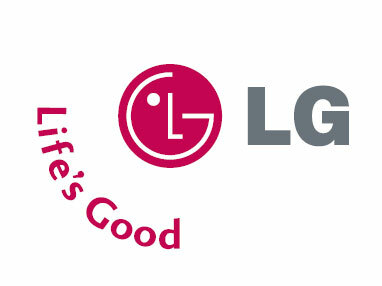 Second on my list is LG Electronics, a competitor of Samsung Electronics. Like Samsung, LG Electronics is a multinational company that operates on various businesses. I want to join the Mobile Communication division. I am also interested to join the bandwagon of telecommunication service provider, so I think KT Telecommunications Services is a perfect company for this choice. Play at work is what I think when I hear Com2Us. Being one of the top companies in South Korea that specializes on developing fun and unique games for Smartphones. Game tester could be a very lucrative job and I want to do it with this company. I love internet and I want to just browse on the web for information. Daum Communications is just another web service provide in Korea. It's like Google or Yahoo because it provides web services like email, forums, shopping and news. One of the most popular, if not the biggest company in South Korea is the Hyundai. I can take any job from any Hyundai conglomerate because I know I am in good hands with this company. I think it would be exciting to join an airline company and I want to join the Korea Air, the largest airline in South Korea. Korean Air is also included in the top 20 airlines in the world. Being a cabin staff for this airline could be a good idea. Particularly the SK Telecom. There are a lot of SK subsidiaries in South Korea, in fact it is the third largest conglomerate in South Korea, but if base on my education and experience, I think I am suited for a position in the telecommunication department. Who does not want to work on media? Aside from earning a lot, you can have the chance to see the brightest K-pop stars and artists of South Korea. There are four major TV networks in Korea and KBS is the biggest network so far. I am thinking to join also the Oil industry. S-Oil corporation is I think the best option for this. Why not? 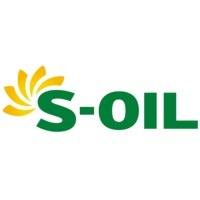 I think employees of S-Oil are getting a handsome pay from this petroleum and refinery company. Nothing is impossible. I know in due time, I could acquire a working Visa that allow me to join at least one of the companies I mentioned above. Keep the Faith!!! Shame on me I don't know what Vega is.. haha. But I will try to read on that, maybe it could be included here. Maybe you're referring to the VEGA phones? The company is called "Pantech & Curitel" and their phone line is called SKY. Models include the VEGA phone. These 10 Korean Companies should be read by college students for them to have an idea where to work at when in Korea. and by those who are already here in Korea looking for work. Thanks for the heads up sir. 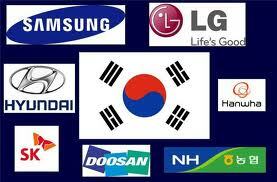 I've actually seen most of these companies back when I visited Korea (Jeonju specifically). But if I were to choose which company to work for (if given the chance), I'd try at Korean Air. I've always wanted to be a flight attendant, and I've always loved the sophisticated look of their cabin crew. work + travel, what more you could wish for? Joining Samsung would be nice because of the R&D involve in the telco industry. Yeah galing nga ng South Korea and I think they will be having more innovations when they know how to communicate in English better so they stand more at a global level. Long way to go for Korea. Big time nga ang mga companies na ito. My brother once work at Hyundai sa car assembly mismo. ang laki raw. This list should give Filipinos interested to work in South Korea the right direction towards findng work. I don't work nor have I worked for any of those companies. However, I had students in the past who worked for those companies. Many of those companies hire foreign employees, mostly engineers from India, Russia and of course the Philippines. Thanks for visiting my blog. My husband works in one of your dream companies:-) so the kids and i have been living here in Seoul under the F3 (dependent's) visa. Cool. Thanks for visiting back maam. Your husband is blessed being a part of one of the biggest companies in Korea. Hi...nice....any idea bout' architectural companies? thanks..
Wow...10 great companies in S. Korea, I'm just hoping that one of these companies would hire me. By the way I'm a 9th EPS KLT Passer and I'm still waiting for employer. Wish I could work on those companies. I prefer Samsung or LG but any Electronic companies would be great...How I wish someone would help me....Thank you..
cool! I've always dream of working in south korea and I'm planing to take a scholarship there for my masters degree. I hope I can get one so that it would be easy for me to work there. I think you also need to know the language first. I heard there is an exam for this on April. You can inquire about it. So saranghae did u succed in getting the job?